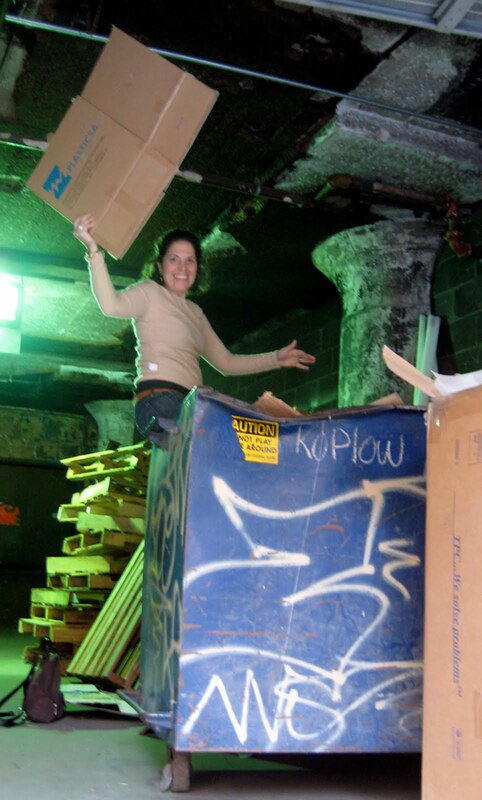 i am proud to say that i spend time in dumpsters! how glamorous! i often go downstairs to our loading dock to collect boxes and extra cardboard for shipping out to our stores. i hate seeing perfectly good materials go to waste, and it makes me feel sweetly green to recycle an old box to protect the precious! You are too cute. Love your dumpster diving!